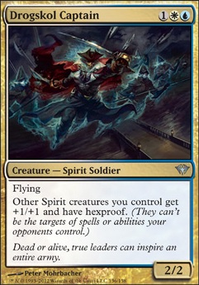 What if my opponent and I both control a platinum angel. Does Phantasmal Image stay on the field if it copies Myth Realized when animated? What would happen if I cloned a flip card? 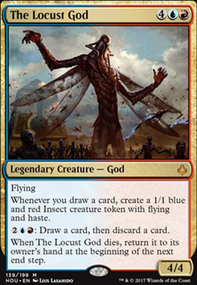 You may have Pantasmal Image enter the battlefield as a copy of any creature on the battlefield, except it's an Illusion in addition to its other types and it gains "When this creature becomes the target of a spell or ability, sacrifice it." You are correct. Lot’s of decisions. You’ll definitely know more after 10 rounds of play. Nothing tunes your deck better that repetition of play. I am a fan of Phantasmal Image , even though it dies easily. 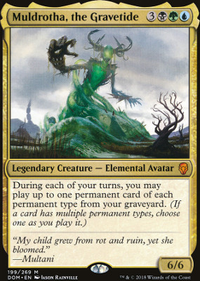 I am curious about Merrow Reejerey with shapeshifter spells so I may report back to see if the tap/untapped works better with vial. So far your updates look good. 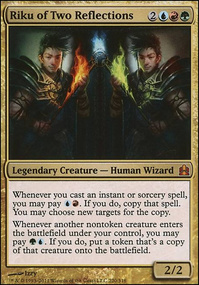 Always Watching and Vapor Snag seem like subpar choices, and you really should consider a playset of Spell Queller , that card is a life-saver, and a fourth Drogskol Captain is another must-have. 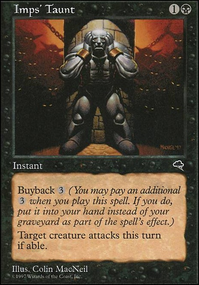 I get you about the cost of Noble Hierarch , but the Exalted ability can really come in handy, particularly against prison decks running Ensnaring Bridge . 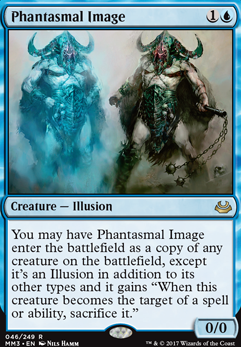 Phantasmal Image is another excellent choice, usually you'll want to copy your lords, but against the aforementioned prison decks, copying Noble Hierarchs helps out a lot too. Won a 5-player free-for-all game on Sunday. 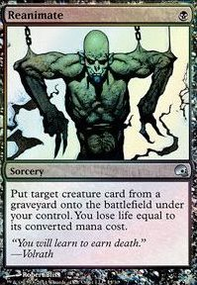 Won the die roll and kept a hand with Burgeoning which combined with Ancient Tomb to power out, with Negate backup, turn 2 Toothy, turn 3 Increasing Savagery , turn 4 Phantasmal Image the Toothy, drawing 7. Once this ball got rolling and people recognized me as the overwhelming threat, it was too late. Pir boosted a Garruk, Primal Hunter , and with a Chasm Skulker in play, Garruk’s -3 drew 17 cards and put 68 power onto the board. An opponent went to Spires of Orazca the Phantasmal Image clone of Toothy (attacking an opponent who had already rage-scooped), which triggered the disillusion and drew 50 more cards. With fewer than 10 cards left in my deck at that point, I had more than enough protection for the 140+ power Chasm Skulker to get the job done itself. For whatever reason, the game had a cash prize too, which I don’t think will happen again, but was a nice bonus for converting that explosive start. You shouldn't be, the best variant (tier 3-4ish) is just a mono-blue Palinchron / Deadeye Navigator / Phantasmal Image / Peregrine Drake / High Tide mono-blue deck that is all instant speed.